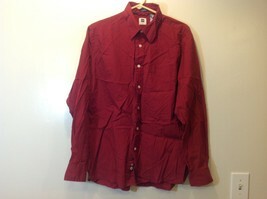 This item is selling for $38.00 on eBay. 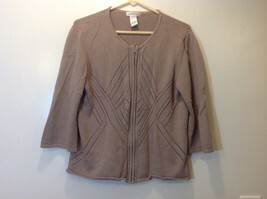 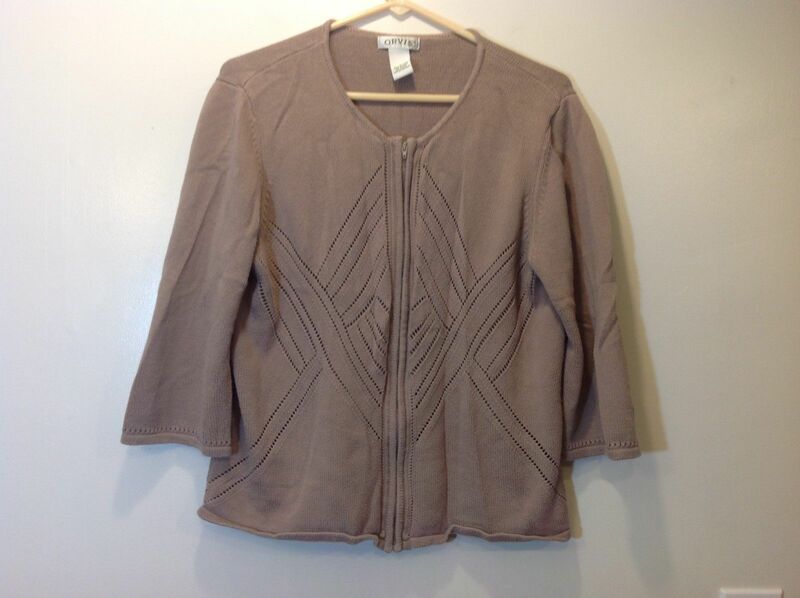 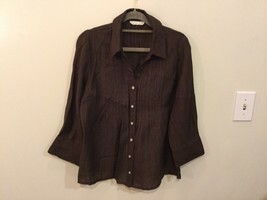 Ladies creamy brown, zip-up, 3/4 sleeve sweater by 'Orvis'. 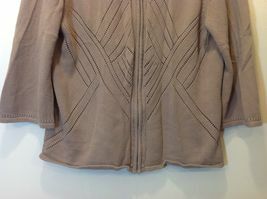 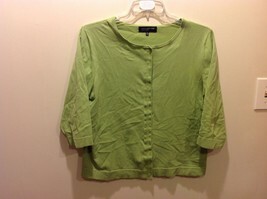 Sweater has mini hole pattern/design and is in great condition!! 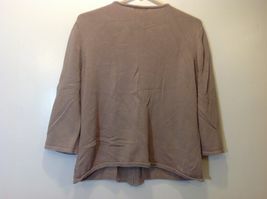 Material 100% cotton, size large.